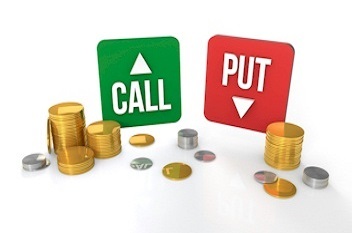 What is the difference between buying a call and put option? Options trading is of interest to those who wish to participate in the market without trading or holding a large quantity of stock and are willing pay a small premium to protect their portfolio. The derivatives market features are luring investors and traders to switch from cash market trading to futures and options trading. Hedging and leverage are the two most important factors why investors prefer to trade in the derivatives market. A call option is essentially an agreement giving an investor the right, but not the obligation, to purchase a stock or other underlying asset, at a specified price within a predetermined period of time. The purchaser of a call option has the right to buy shares at the underlying asset's strike price until the expiration date of the call. The purchaser of the call does not, however, have an obligation to purchase the underlying shares. The buyer of a call option intends to profit when the price of the underlying share goes up. And, the price of the call option will rise as the price of the underlying share goes up. The writer or seller of the call option is hoping for just the opposite, as they will profit more if the price of the underlying shares declines. A put option is an agreement that gives the owner of that put the right, but not the obligation, to sell a set amount of an underlying stock or other assets at a specific price within a specific period of time. Therefore, the buyer of a put option has the right to sell their underlying shares at a set price. Conversely, sellers of put options are obligated to purchase shares of the underlying stock at the set strike price should the put buyer decide to sell their shares. The buyer of a put option will profit when the price of the underlying stock falls. And, the value of a put option goes up when the price of the underlying stock falls. Therefore, writers of put options are hoping for the option to expire with the price of the underlying stock still above the option's strike price.